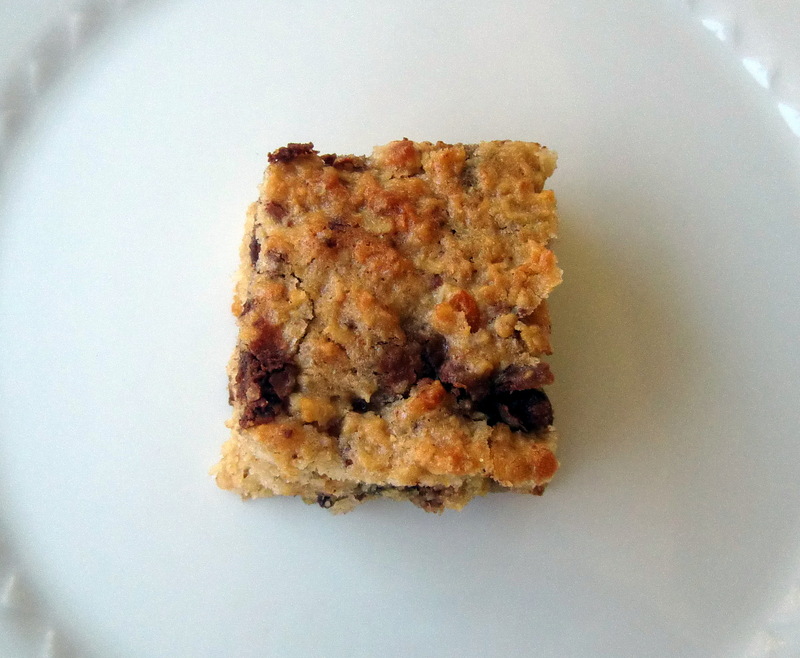 This is a great quick cereal bar type of biscuit. 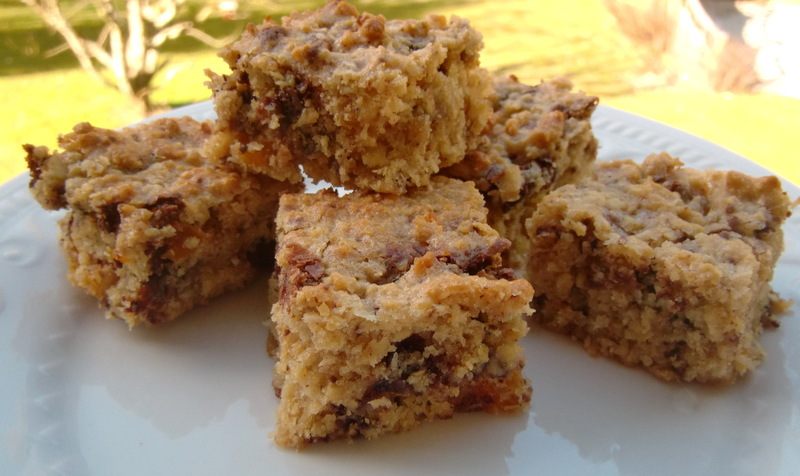 Full of oats, dried coconut, and fruity bits. 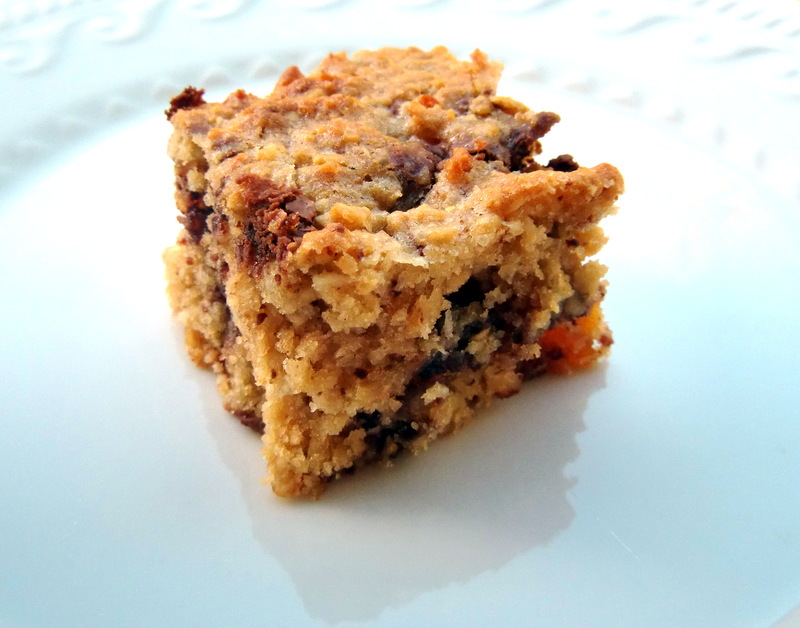 Just stir everything together, bake and enjoy! How to: Put the first 7 ingredients in a large bowl and stir until well mixed. Mix the butter with the egg and milk, then add this mixture to the bowl. Stir until everything is well combined. Spoon the final mixture into a lined tin (about 17 x 27cm) and flatten with a fork. Bake at 180°c for about 25 mins until golden. 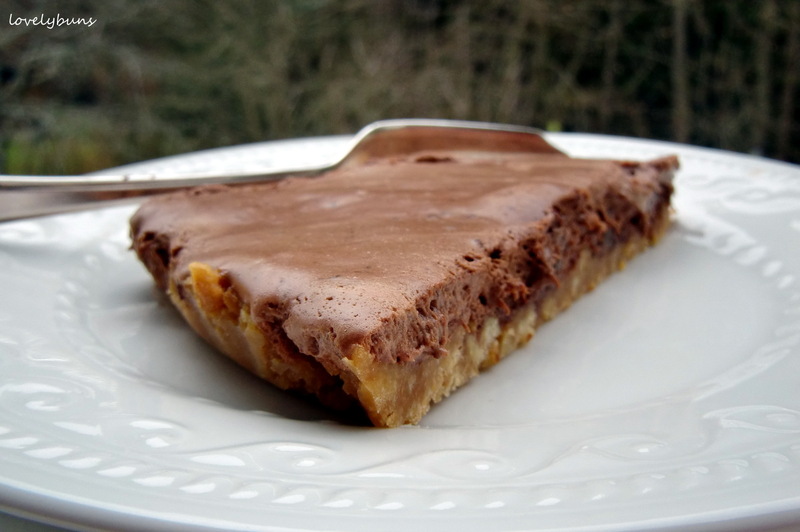 Leave to cool in the tin then slice into squares or bars. I prefer squares as these hold together better than bars. The apricots could be replaced with cranberries, sultanas etc. Great for a picnic or taking on a long walk! 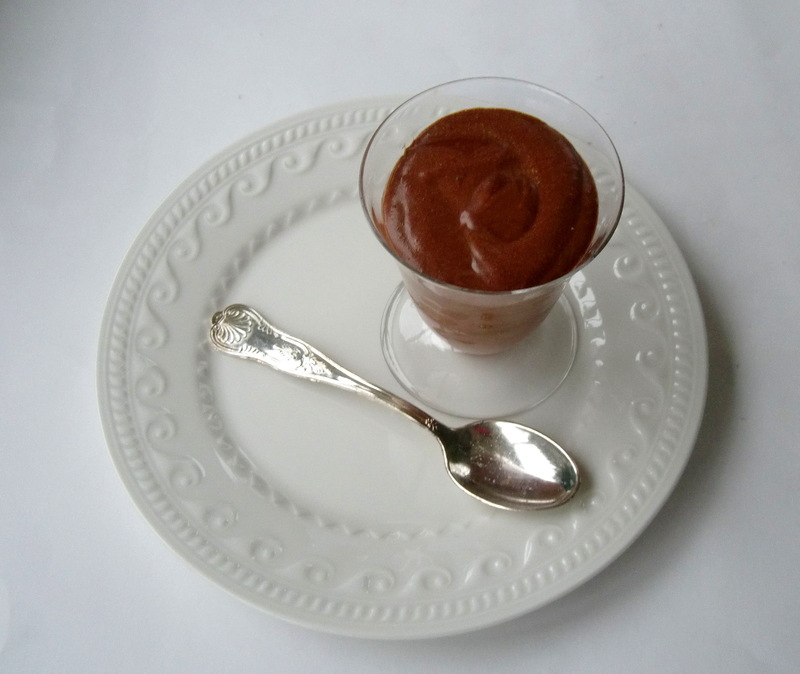 This quick mousse is as delicious as the other and just as quick! 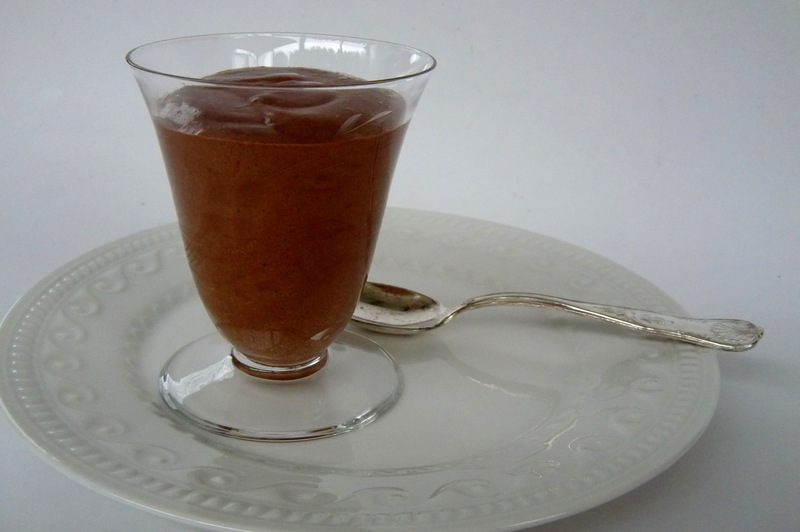 In this mousse there are simply 2 ingredients – chocolate and eggs. For 5 little dishes use 150g chocolate (dark or milk) with 1 and 1/2 tbsps water and 3 eggs, for 10 little dishes use 300g chocolate with 3 tbsps water and 6 eggs. How to: Break the chocolate into small pieces, melt it with the water in a clean bowl over a pan of simmering water -make sure the base of the bowl doesn’t touch the water. Leave to cool a little. Separate the eggs and whisk the egg whites in a clean bowl unitl they form stiff peaks. Add the yolks, 1 at a time to the cooled chocolate and beat together until well combined. Finally gently fold in the egg whites and divide among your serving dishes. Chill for about 3 hours before serving. 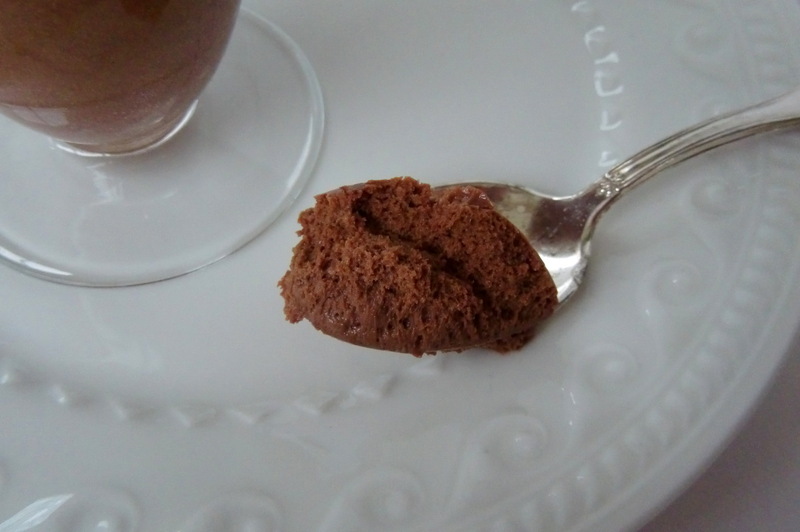 These little chocolate pots can also be frozen for up to 1 month! 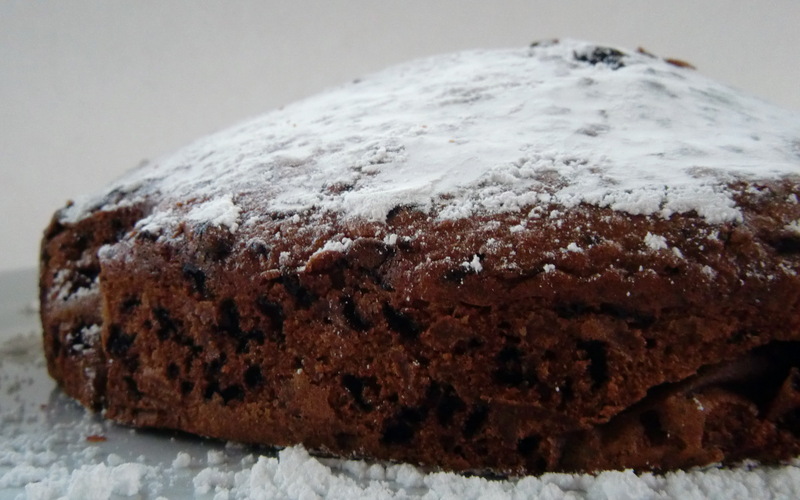 This is a recipe slightly adapted from ”Décors et recettes de Noêl – traditions d’Alsace” which I recently got my hands on! 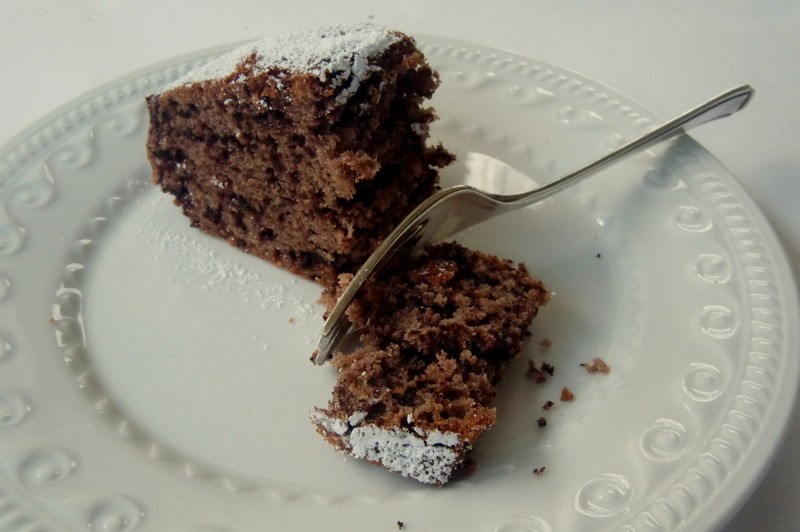 Also called Gateau au vin rouge or Roewin un Mûesbollekûeche, it’s a deliciously easy and moist chocolate cake perfect for freezing and defrosting later when needed. 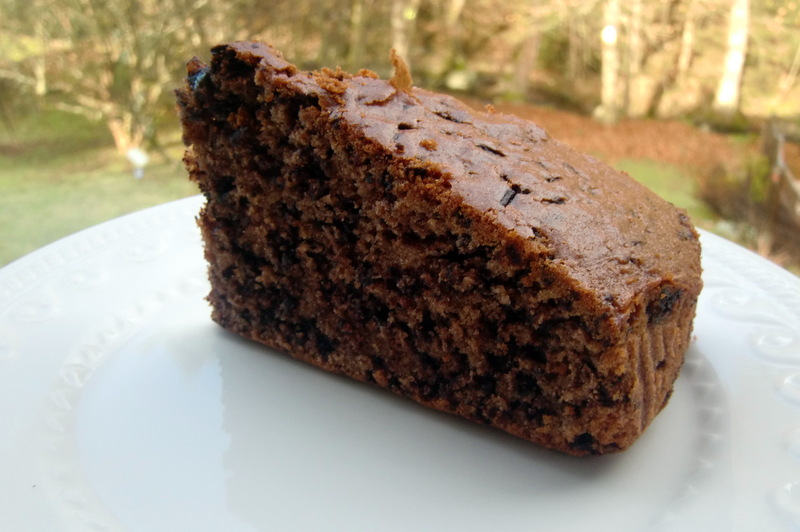 It’s another of my favourite – “mix everything together and bake” recipes and is really simple and tasty. The red wine doesn’t give a strong taste, it’s very subtle and the chocolate vermicelli means that the chocolate is evenly dispersed and doesn’t sink to the bottom! How to: Put everything into the processor and whiz until you have a smooth cake mixture. Pour the mixture into a grease proof paper lined cake tin, I used a circular 20cm tin but it’s also often made in loaf tins. Bake at 180°c for 1 hour then test with a skewer to check if it is fully baked. When the skewer pulls out clean, remove the cake from the oven and leave to cool on a wire rack. As with all chocolate cakes this one can be decorated with any kind of icing. It’s not a very sweet cake so the touch of icing on the top is a little extra. It’s also delicious served with cream or custard. Wrap well and freeze when cool (un-iced) if there is too much or it’s been made in advance. 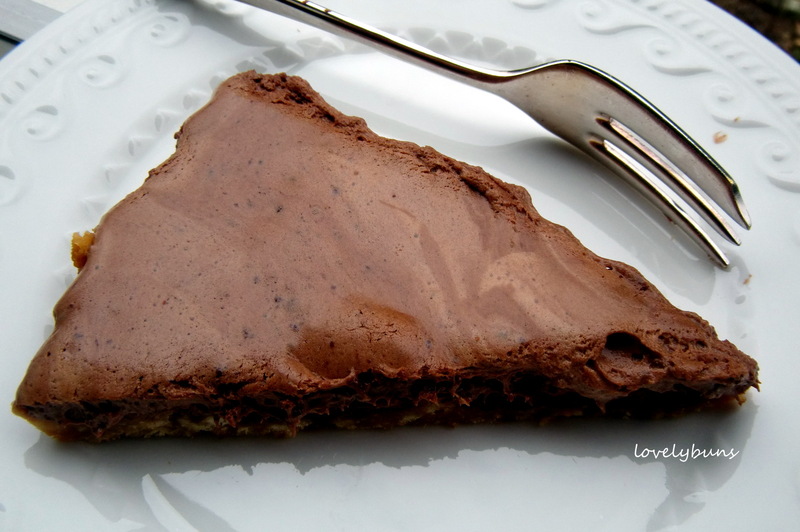 This is a delicious easy chocolate tart, great for when you don’t want to turn the oven on! 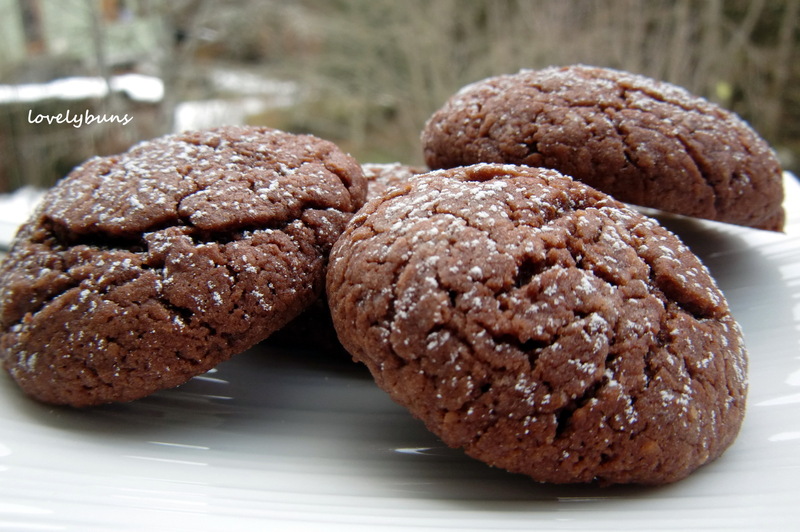 Perfectly creamy with a good chocolate taste and a crunchy base. 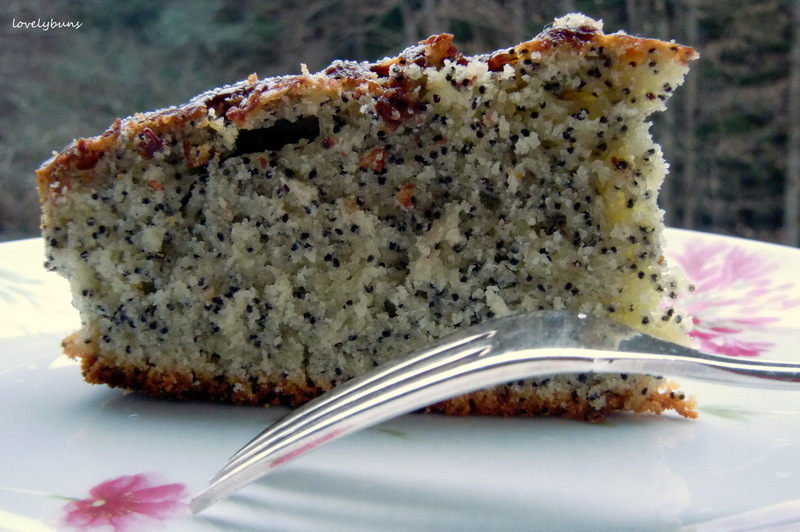 This is a lovely soft moist mildly lemony cake made with very little effort! Just mix everything together and bake! 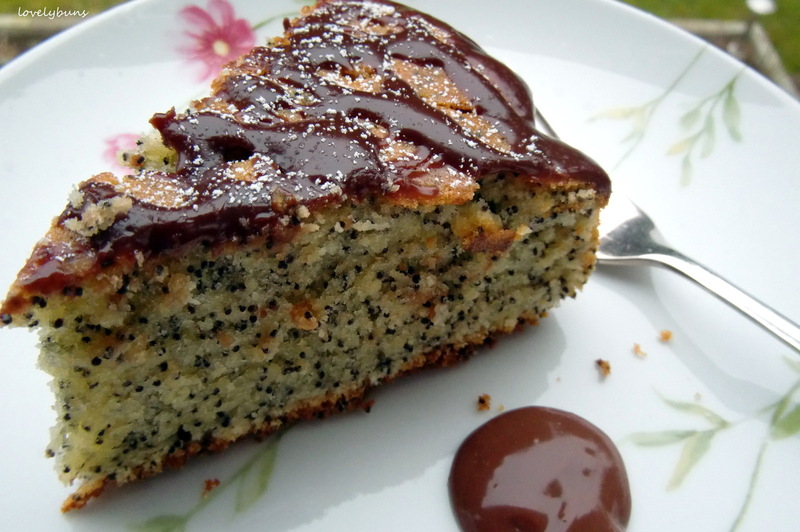 The poppy seeds look nice but are barely tasted. 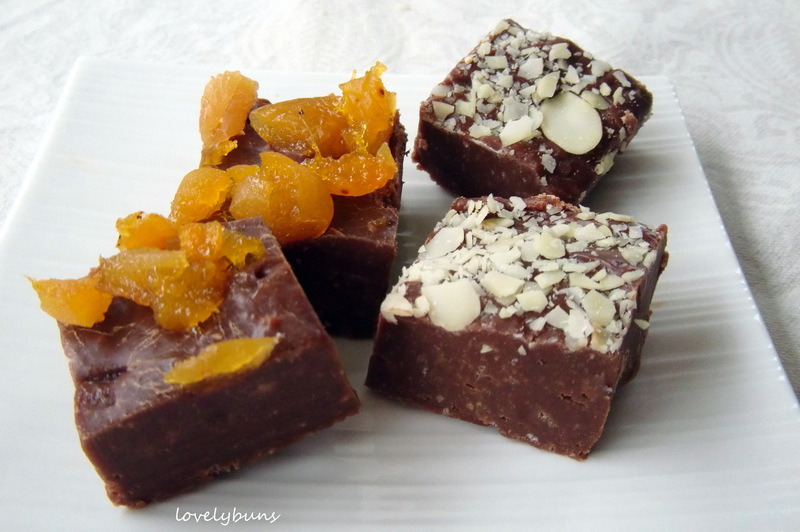 This is a very easy and quick chocolate fudge recipe! 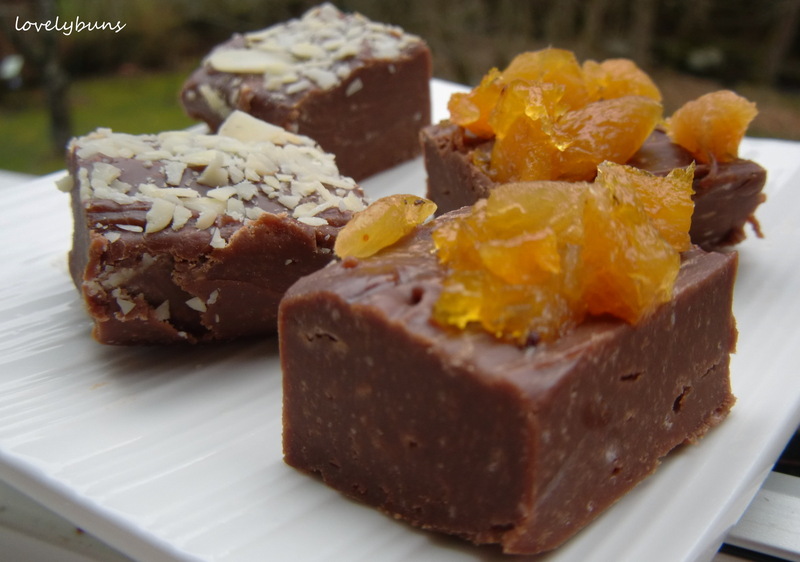 It makes delicious firm fudge in next to no time with very little effort required! 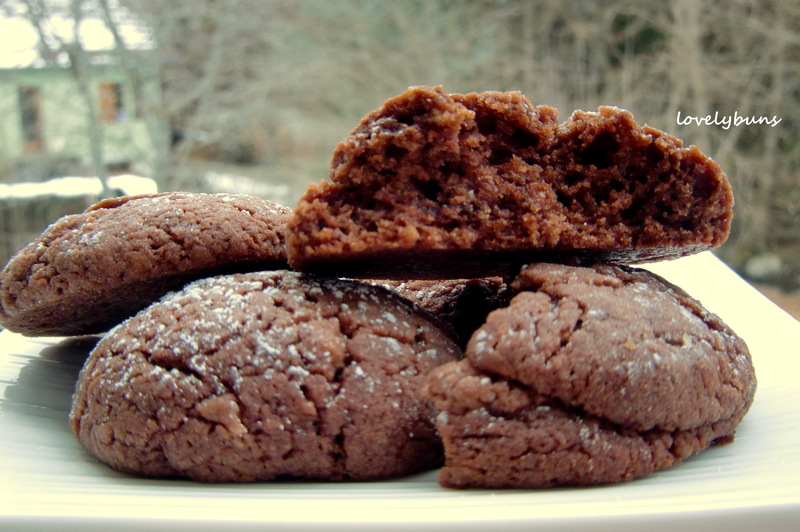 These are delightful chocolaty cakey bites! This is a fantastic one bowl, mix everything together type of recipe. I found this easy fast recipe on Warm Toasty Muffins and when I realised I had half a jar of hazelnut spread in the cupboard I couldn’t resist trying them. Warm Toasty Muffins is a blog filled with great recipes and lovely photos that inspire you to get into the kitchen. You won’t be disappointed if you check out her blog – Thank you Mely!